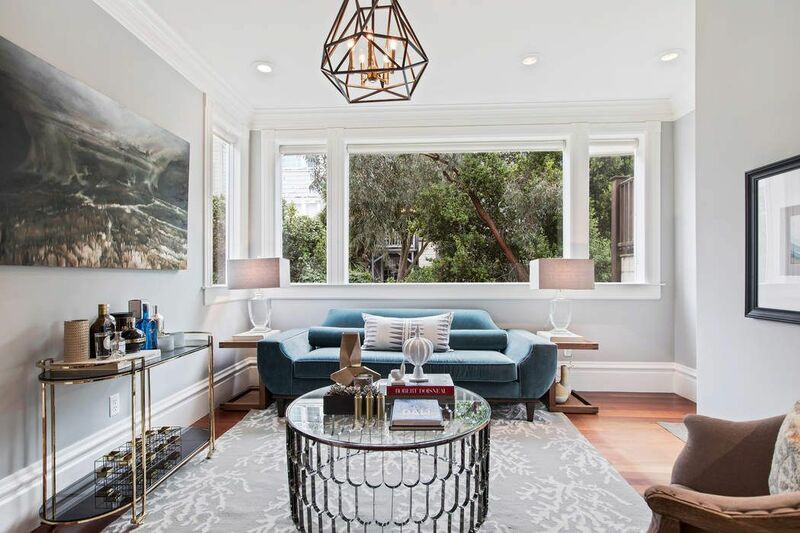 Grand Scale Cole Valley View Condo San Francisco, CA 94117 | Sotheby's International Realty, Inc.
Luminous and substantial, with a classic, high polish, this beautifully designed 2 story condominium has a house-like stature and gracious proportions, all on the iconic tree-lined street that is Downey. 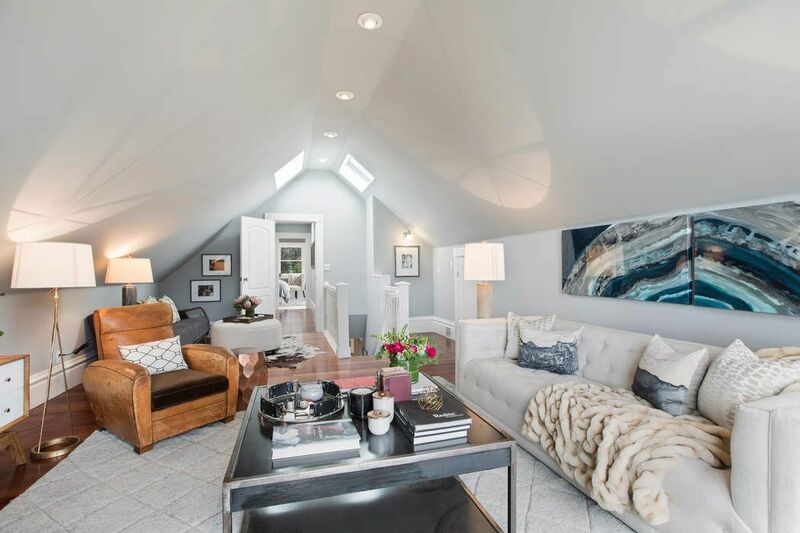 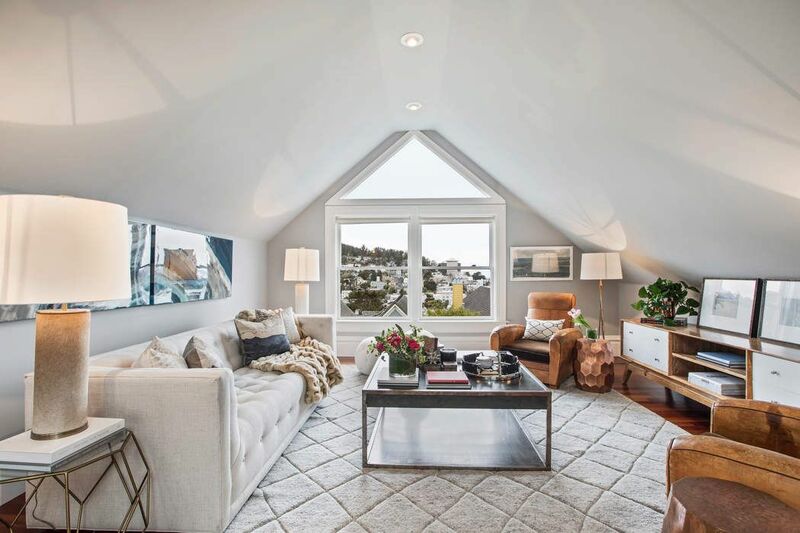 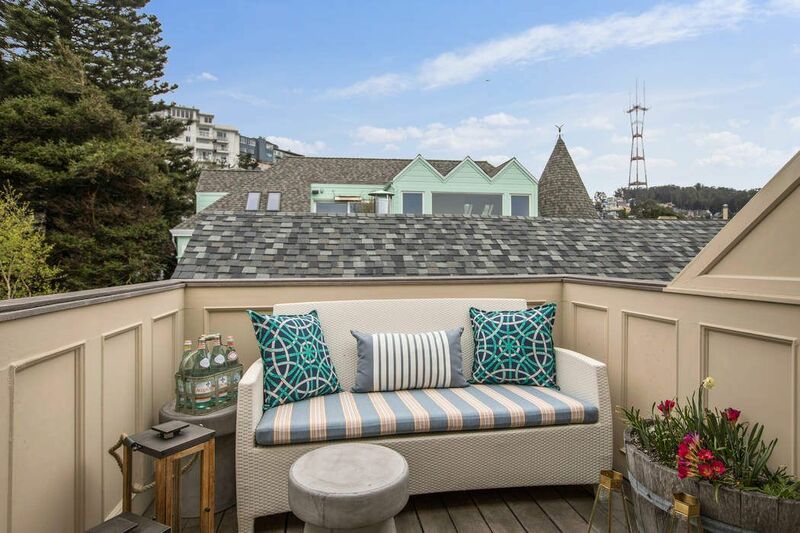 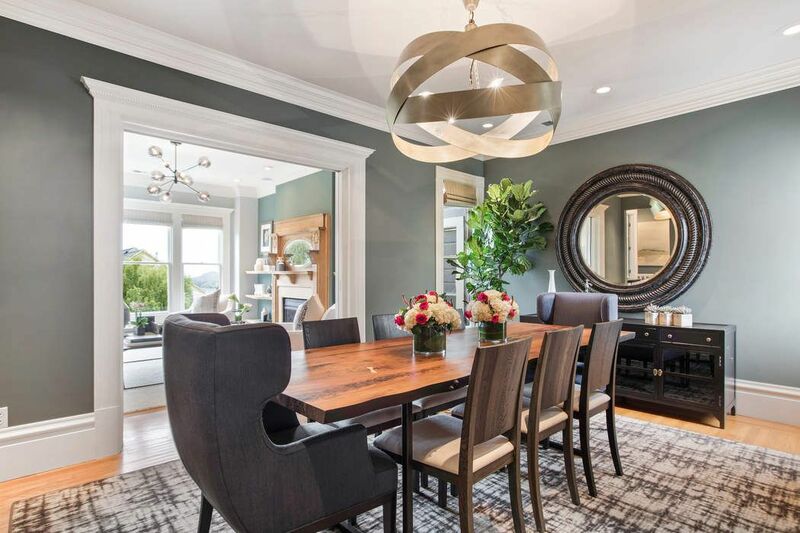 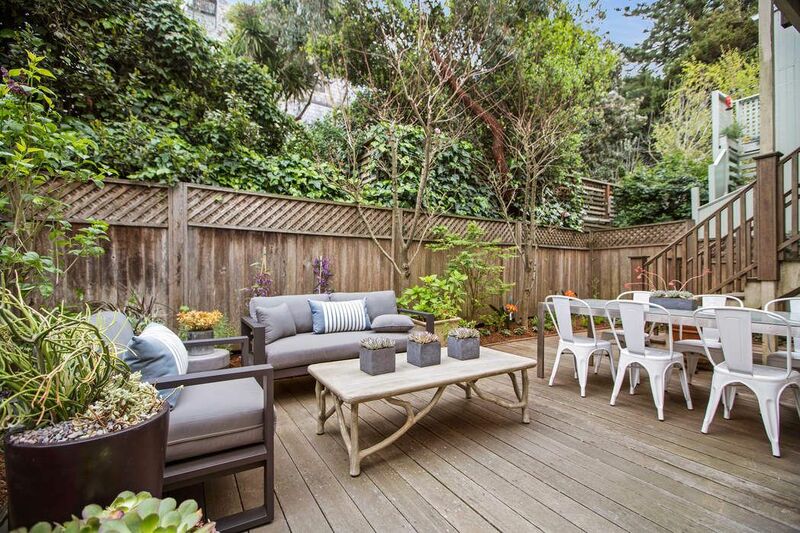 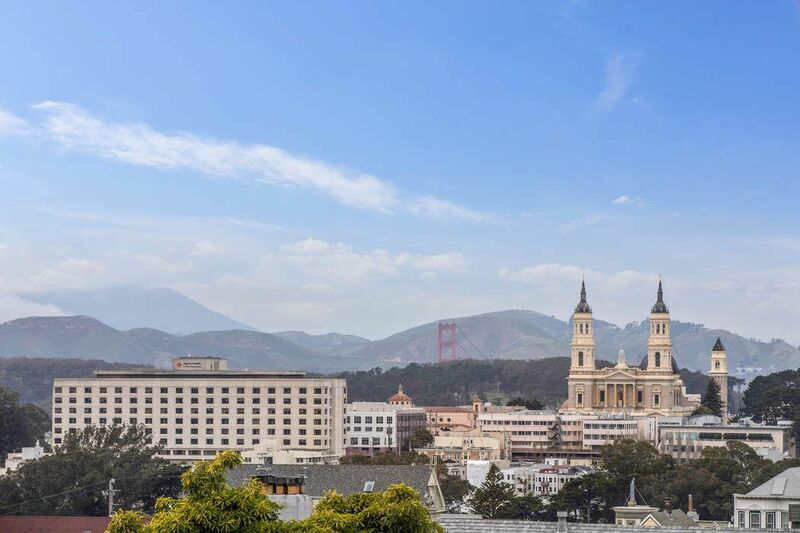 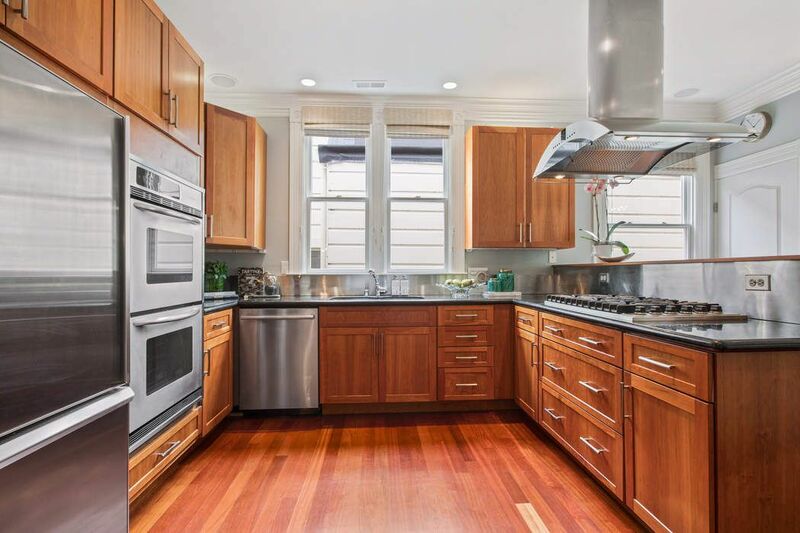 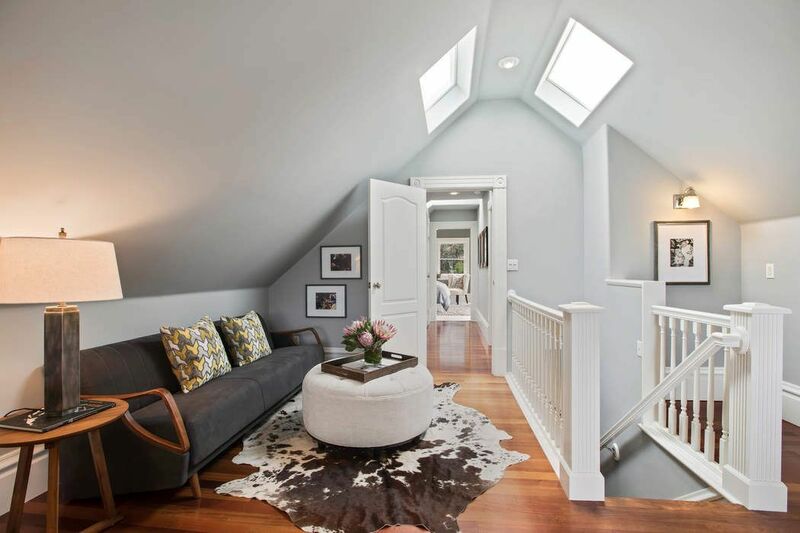 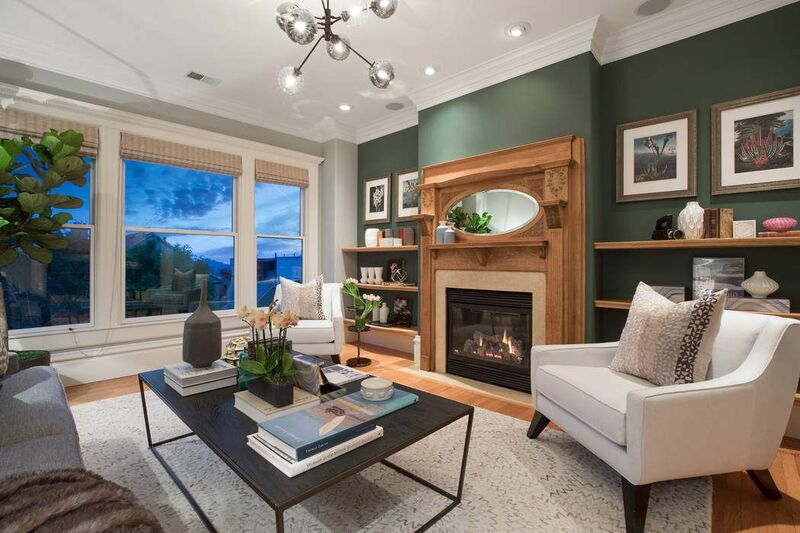 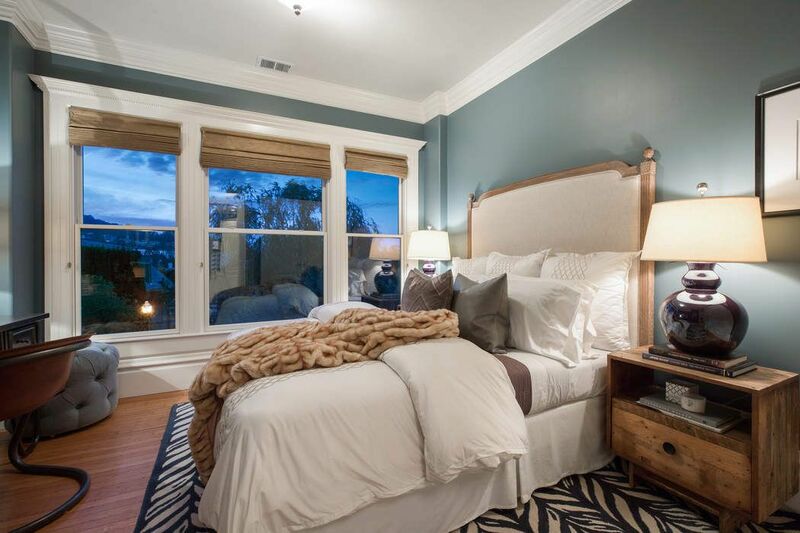 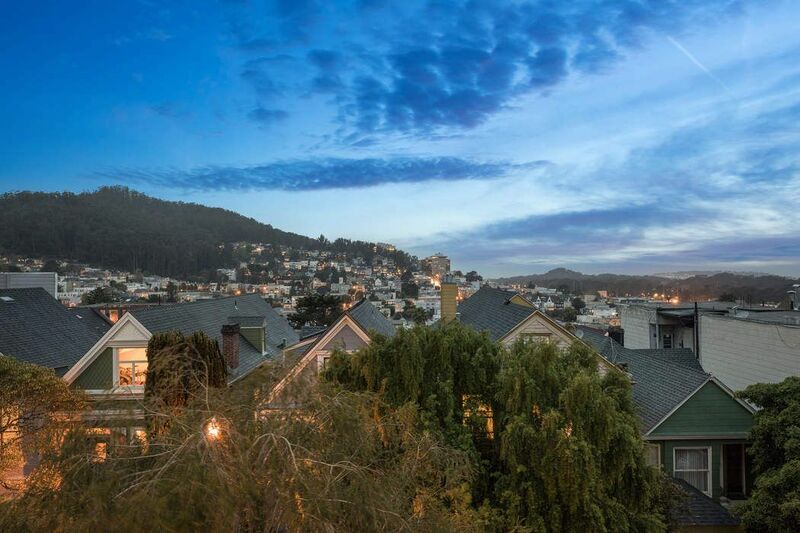 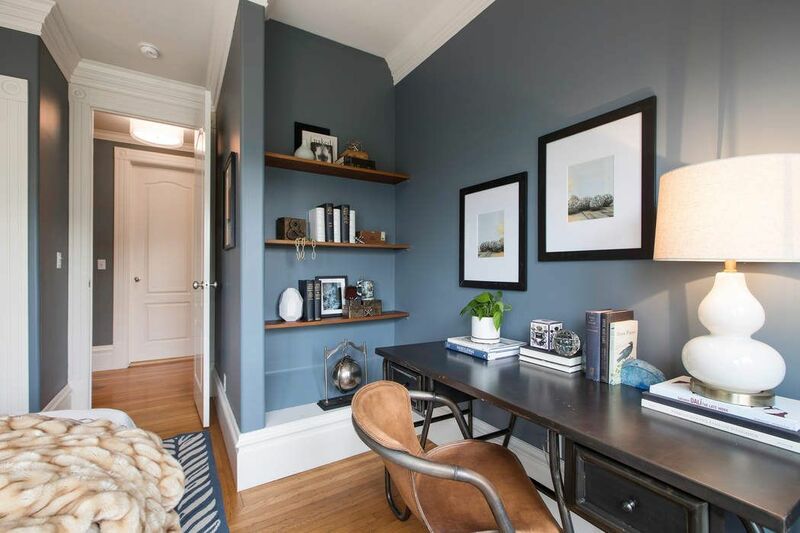 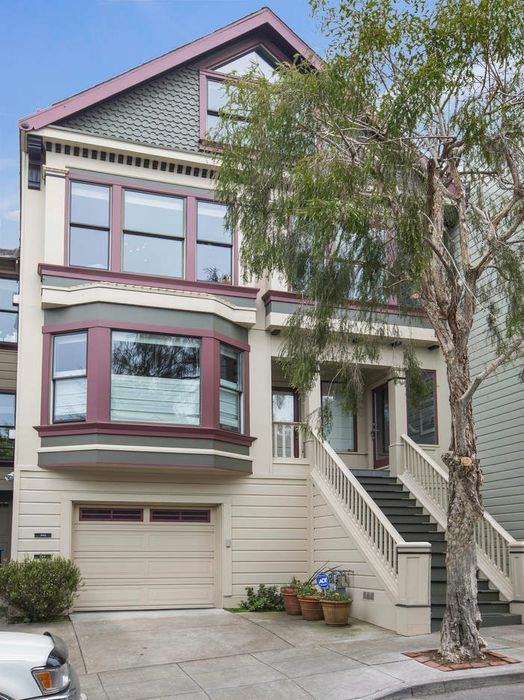 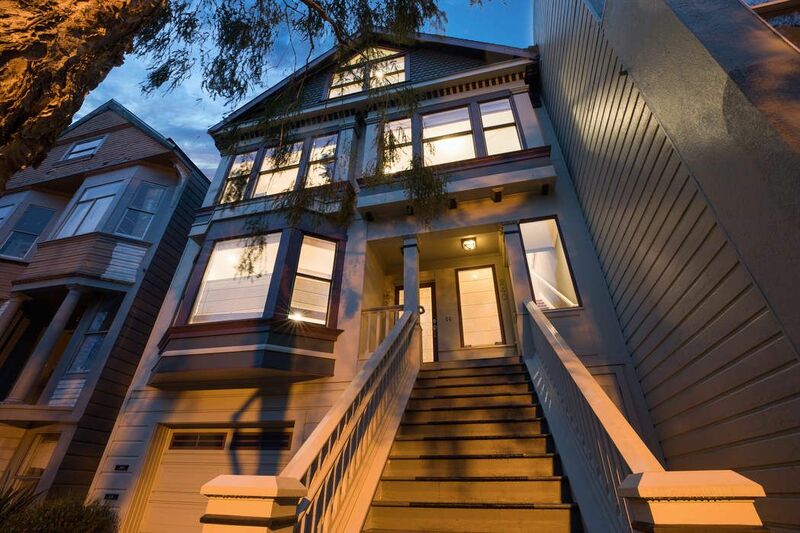 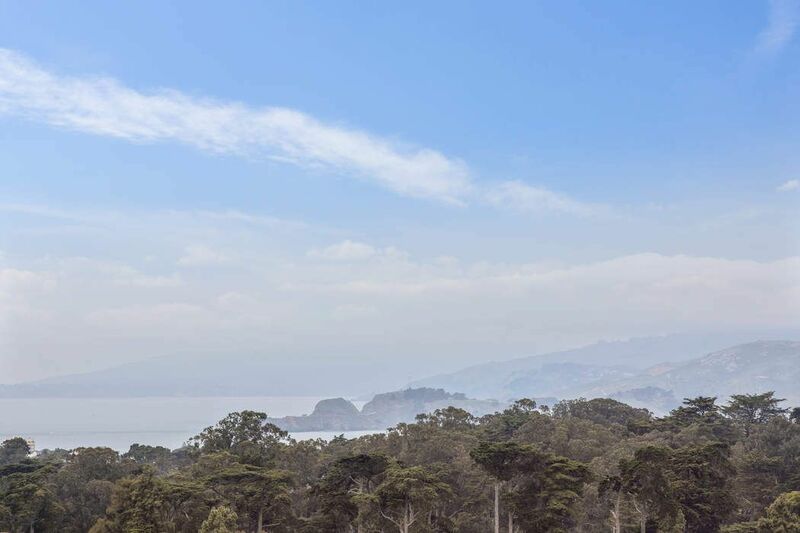 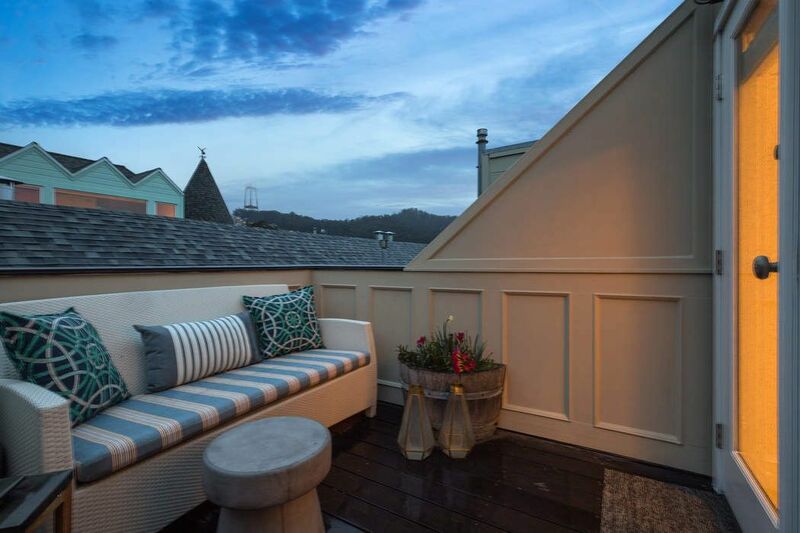 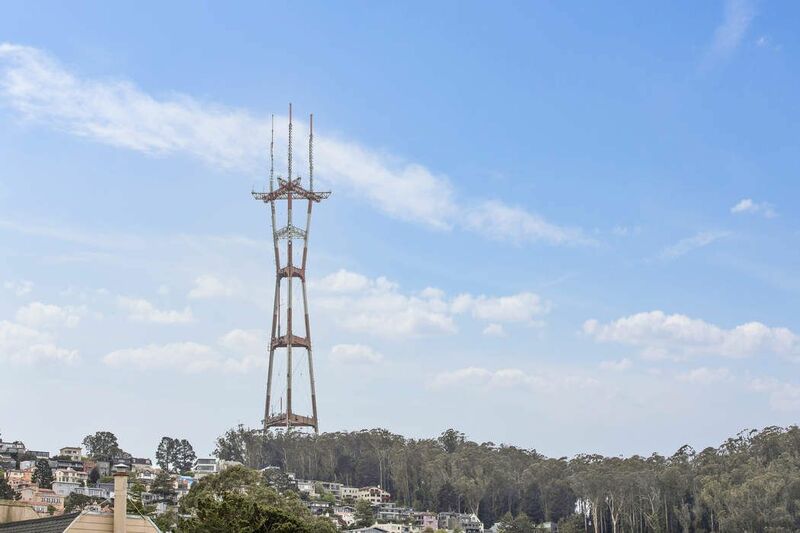 One of two units in a restored and updated Victorian building, this exceptional residence has two car garage parking, separate storage, a shared yard, private Master deck, and expansive master lounge/media room with views West across the valley to the Marin Headlands and the ocean. 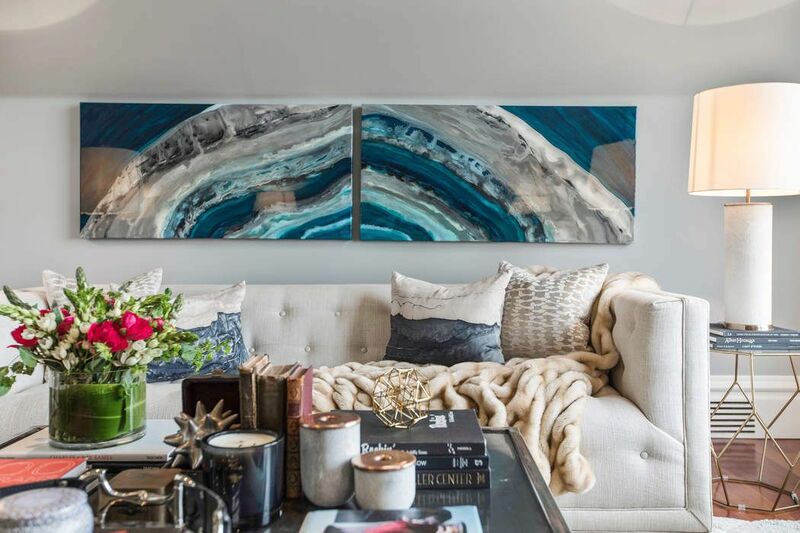 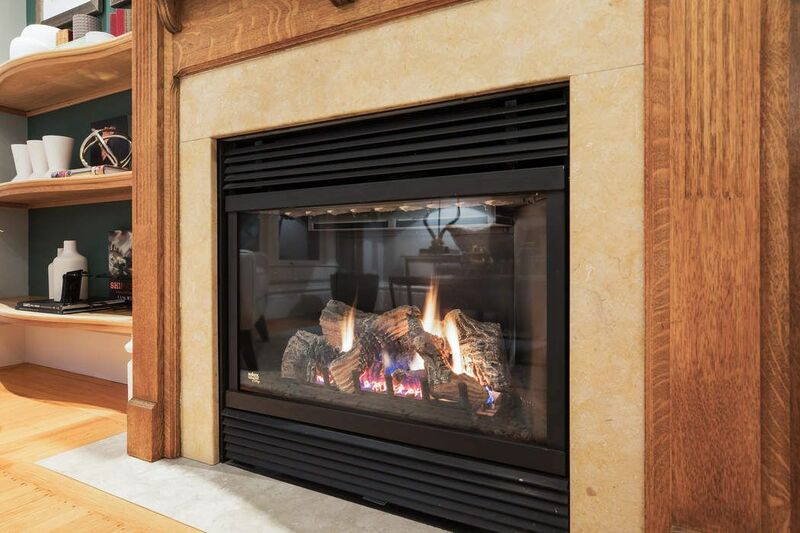 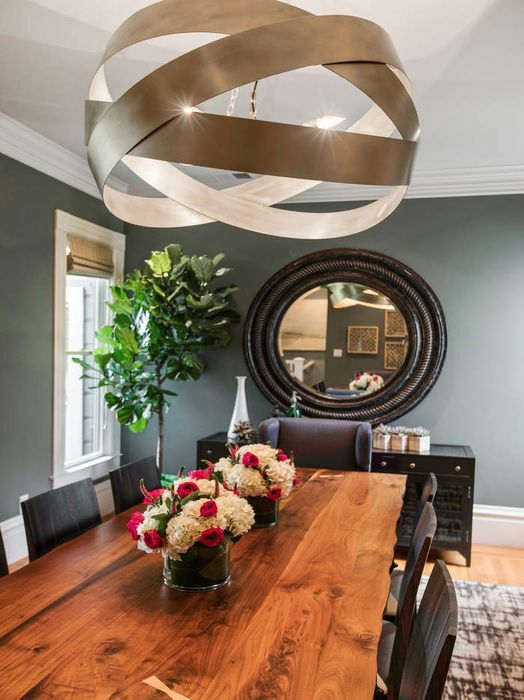 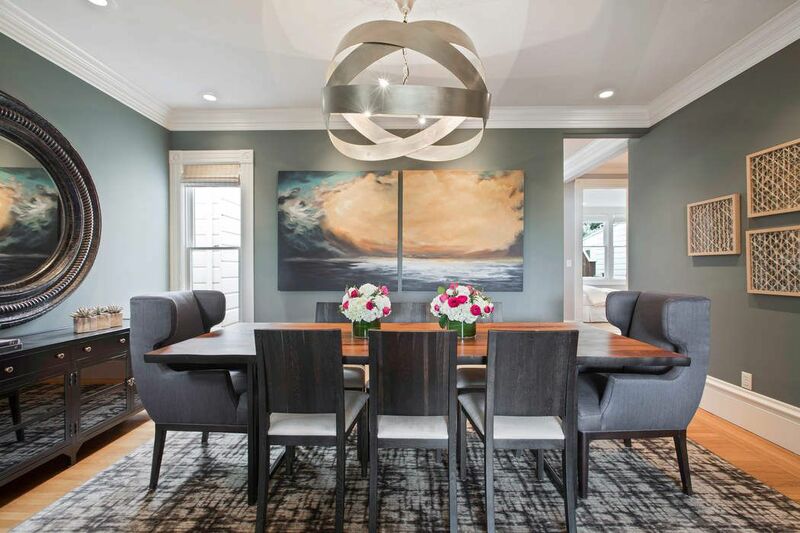 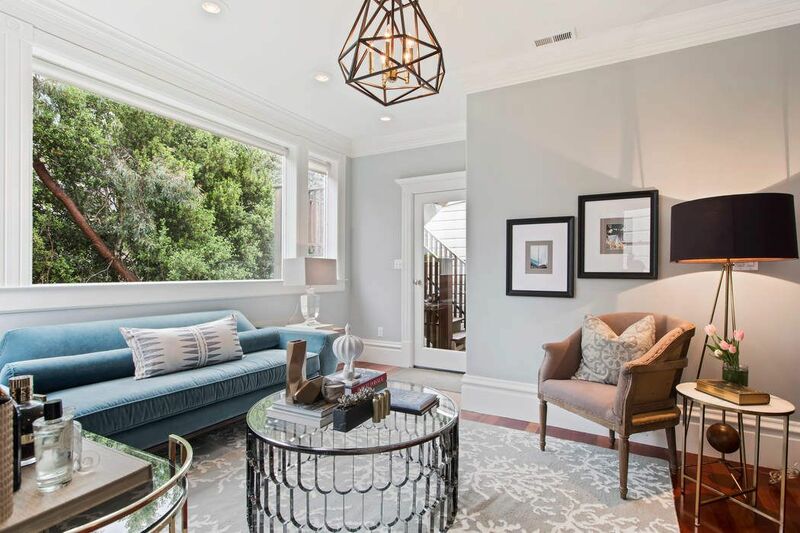 Beautifully restored original and new luxurious finishes create a soulful, refined atmosphere, a flexible and modern floor plan, leafy outlooks, and great proximity to local shops and restaurants. 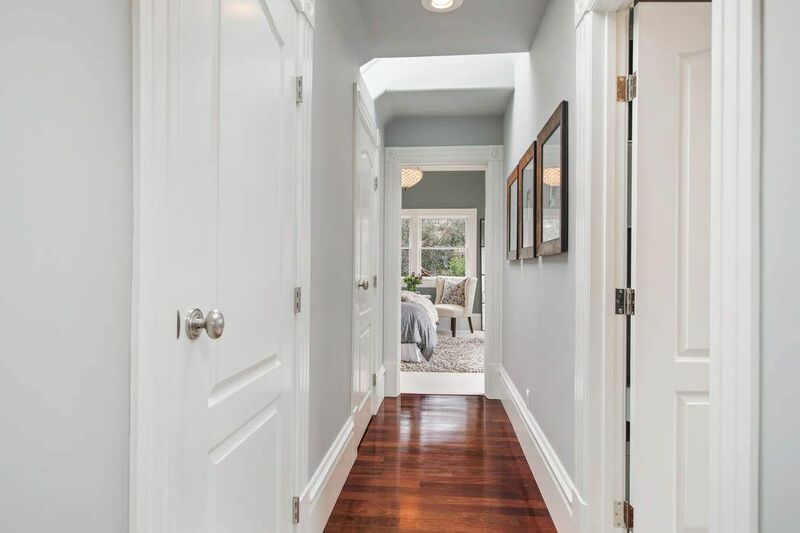 The upper two floors of the building are accessed by an entry landing into the formal dining room and gracious front parlor, with charming original fireplace mantle and massive working pocket doors. 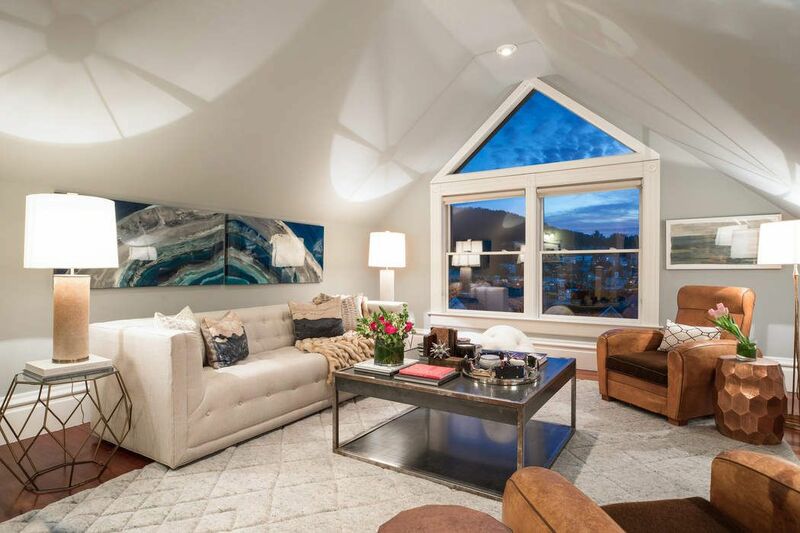 The dual glazed windows throughout flood the space with natural light. 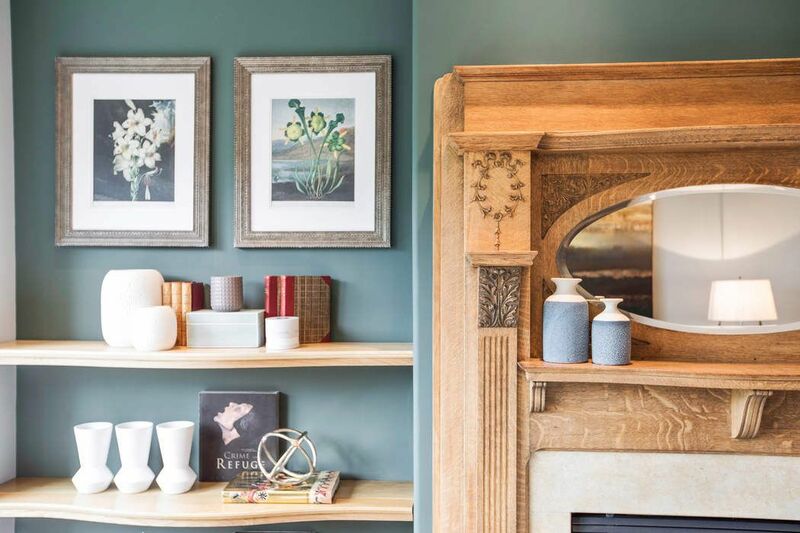 A serene front bedroom has a lovely built-in bookcase and all rooms boast the finest quality hardwood, solid core doors and oak or cherry flooring. 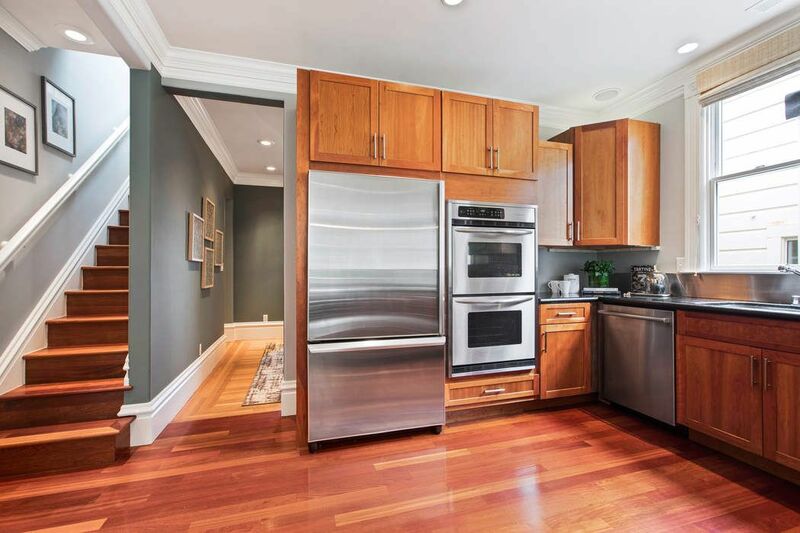 Beyond the front formal rooms is a professionally appointed cherry and stainless custom kitchen with natural stone counters. 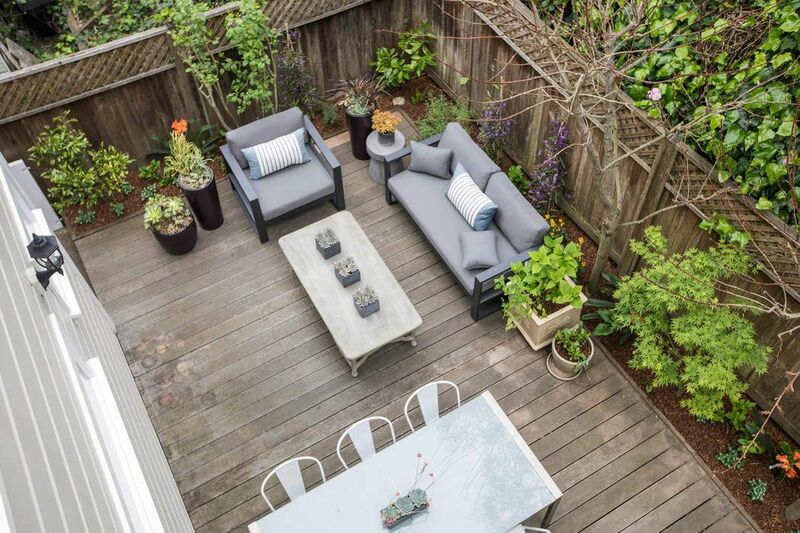 Open to an expansive family room with access to the shared garden. 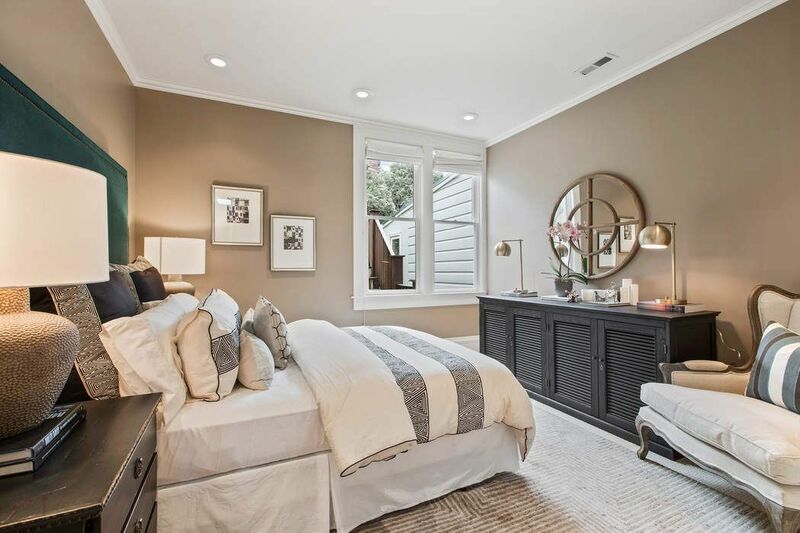 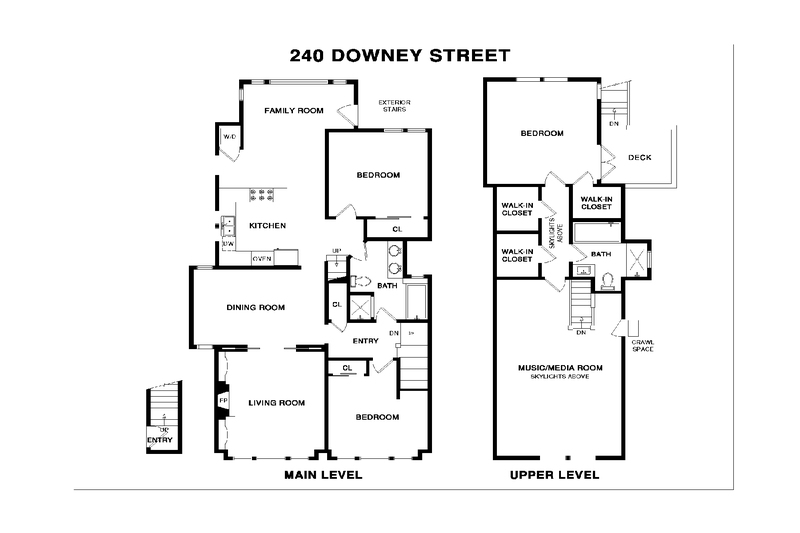 A second bedroom and adjoining luxe full bath is on the East side of this level. 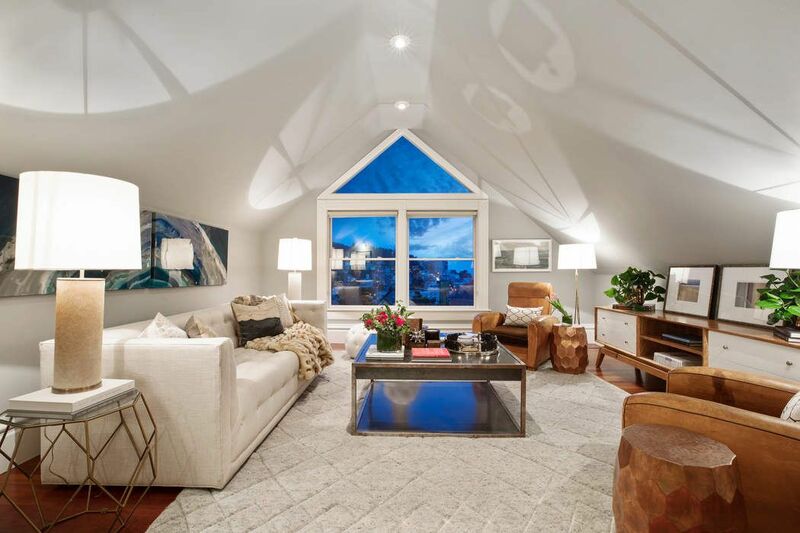 Upstairs is a spectacular music / media room or guest space with vaulted ceilings and stunning views West. 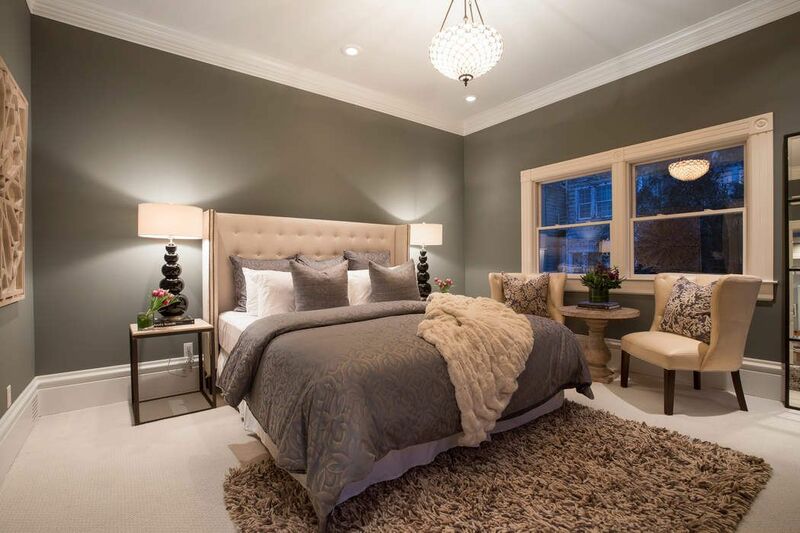 The master suite is East on the floor and features huge closets, full bath with jetted tub, private deck and access to the garden. 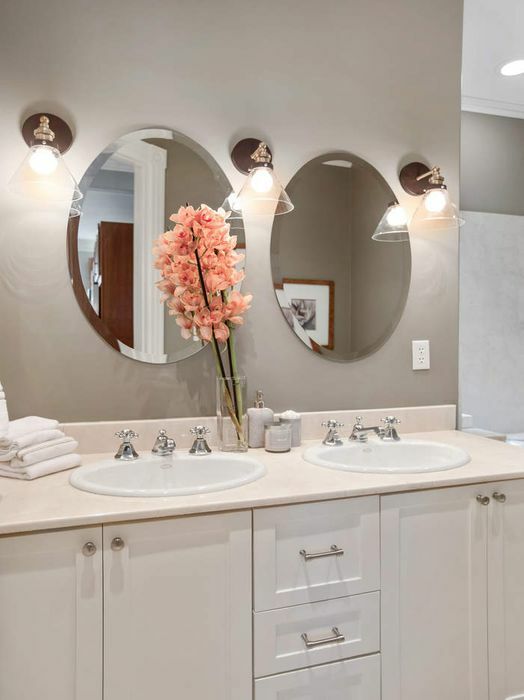 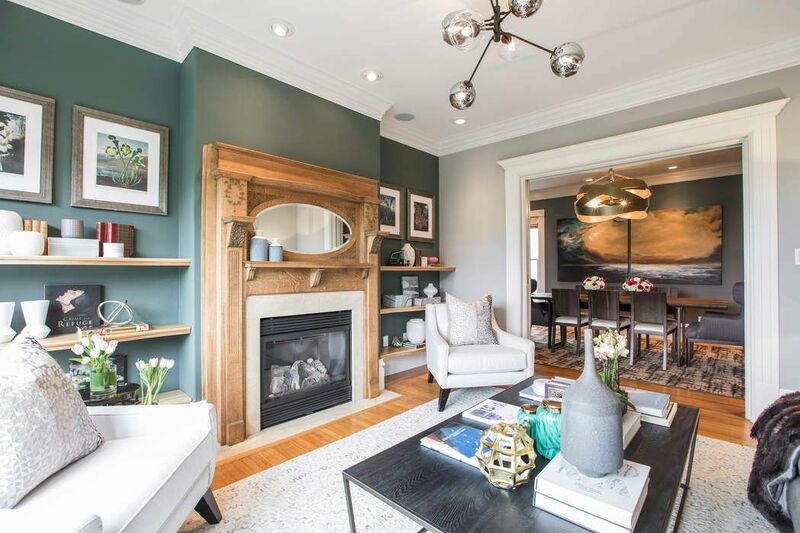 With two car parking, pristine condition, old world meets new world aesthetic and the best location in the city, this home will be a rare and sought after offering. 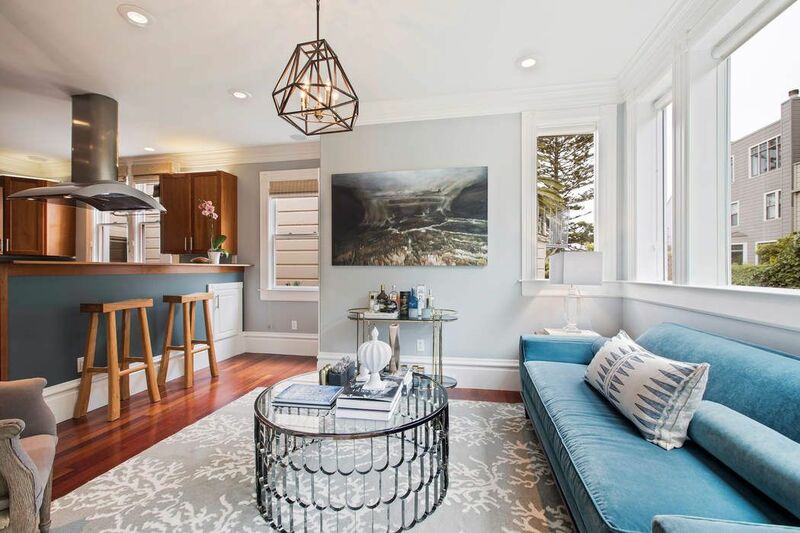 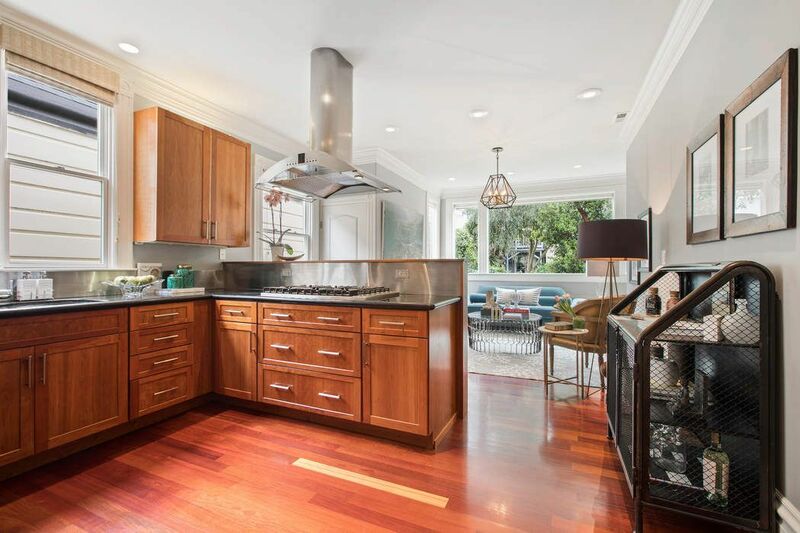 San Francisco Chronicle, "Walk-Through: Victorian Condo Boasts Modern Flair, Ocean Views"
Luminous and substantial, with a classic, high polish, this beautifully designed 2 story condominium has a house-like stature and gracious proportions, all on the iconic tree-lined street that is Downey. 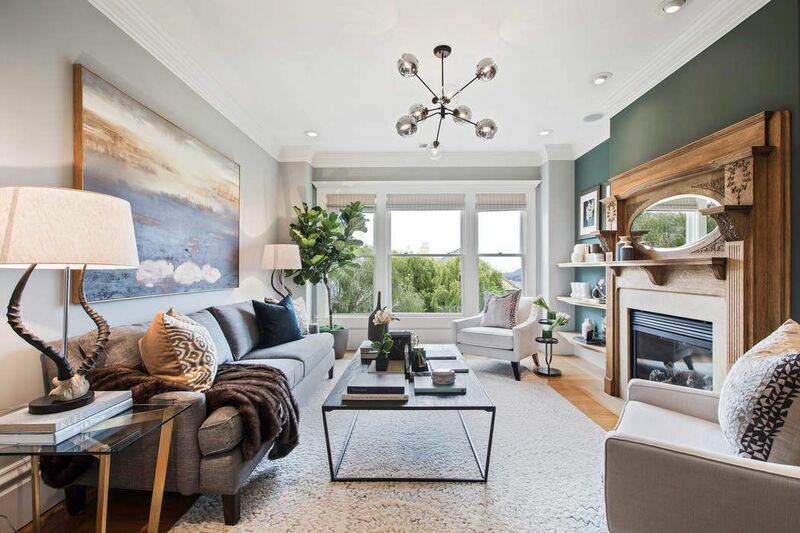 One of two units in a restored and updated Victorian building, this exceptional residence has two car garage parking, separate storage, a shared yard, private Master deck, and expansive master lounge/media room with views West across the valley to the Marin Headlands and the ocean. 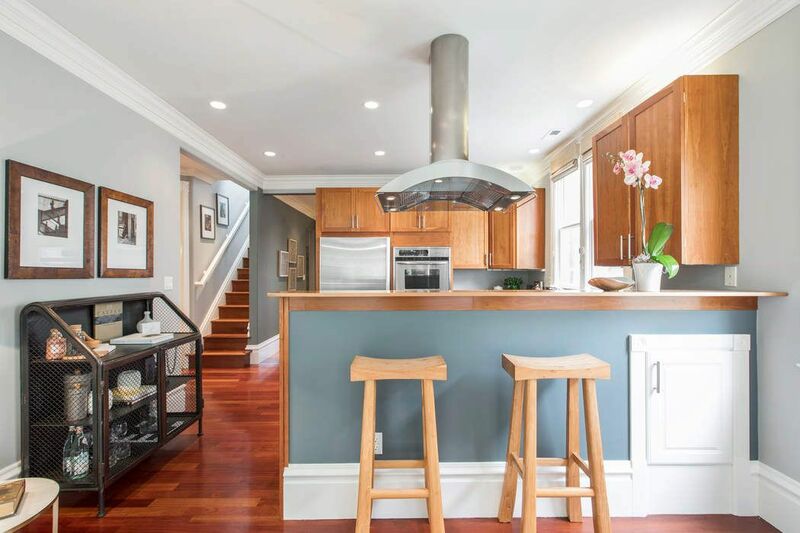 Beautifully restored original and new luxurious finishes create a soulful, refined atmosphere, a flexible and modern floor plan, leafy outlooks, and great proximity to local shops and restaurants. 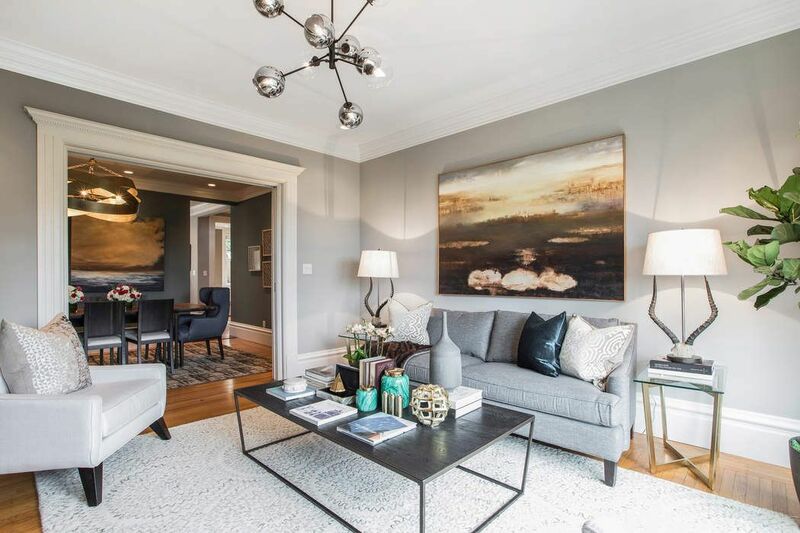 The upper two floors of the building are accessed by an entry landing into the formal dining room and gracious front parlor, with charming original fireplace mantle and massive working pocket doors. 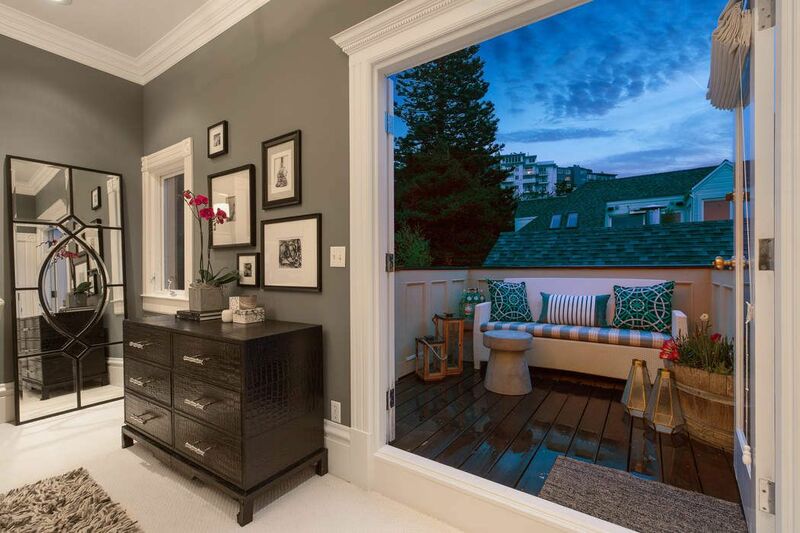 The dual glazed windows throughout flood the space with natural light. 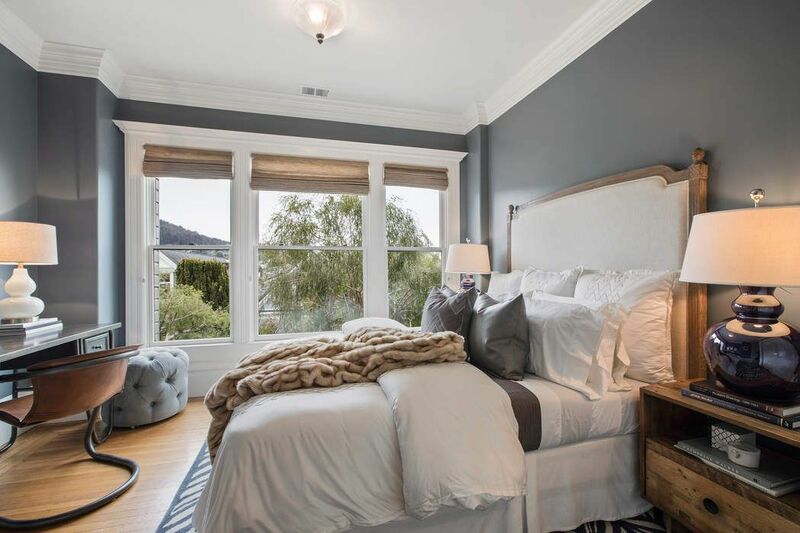 A serene front bedroom has a lovely built-in bookcase and all rooms boast the finest quality hardwood, solid core doors and oak or cherry flooring. 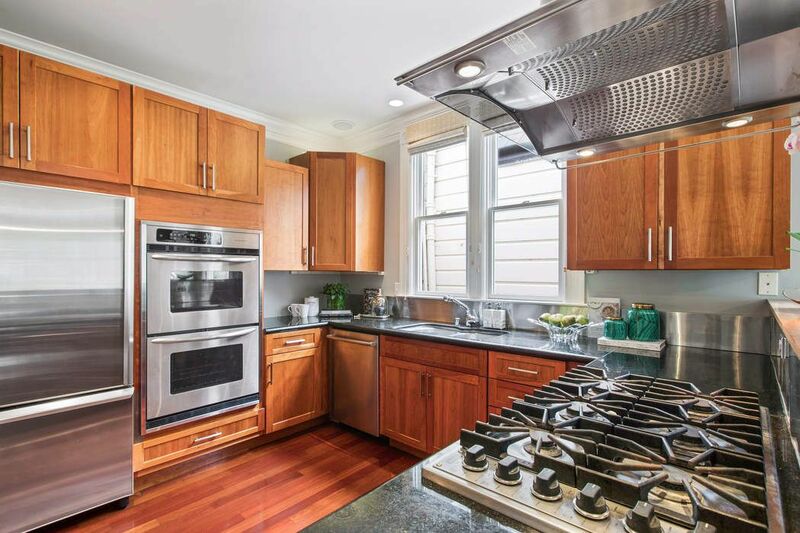 Beyond the front formal rooms is a professionally appointed cherry and stainless custom kitchen with natural stone counters. 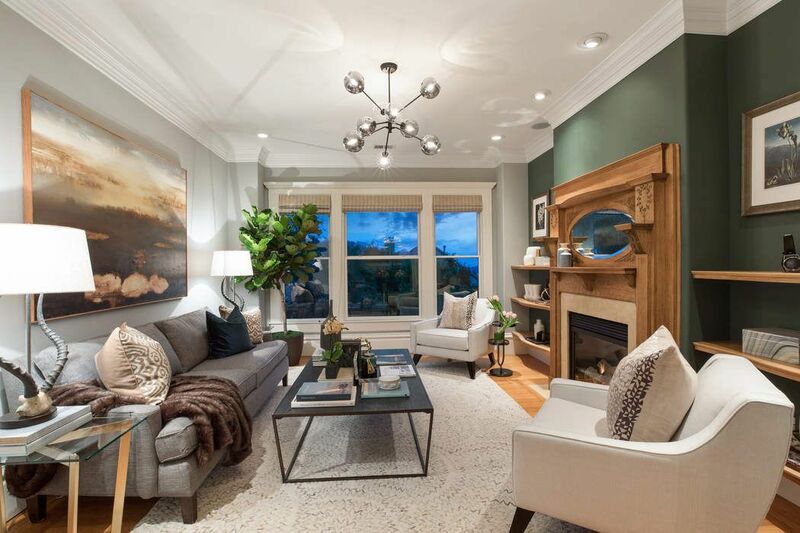 Open to an expansive family room with access to the shared garden. 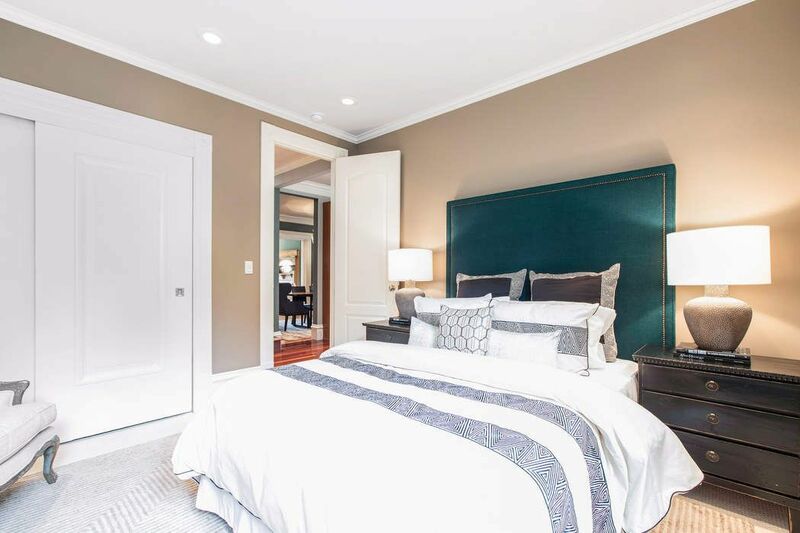 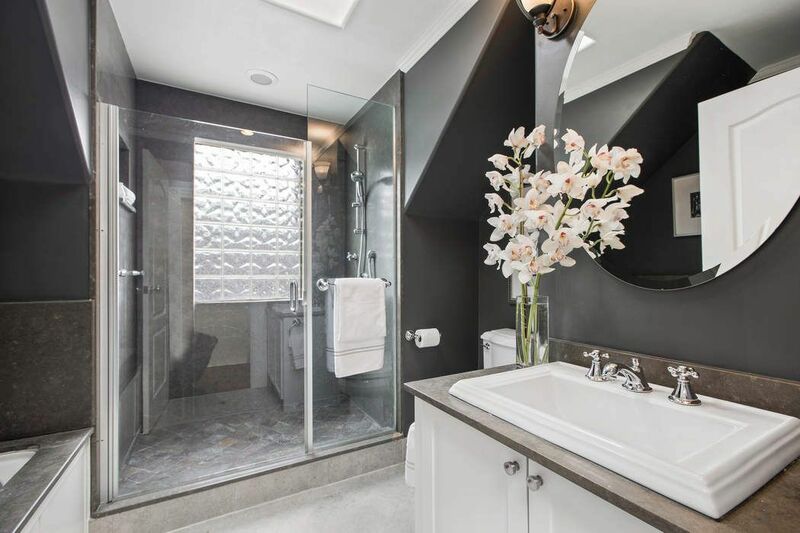 A second bedroom and adjoining luxe full bath is on the East side of this level. 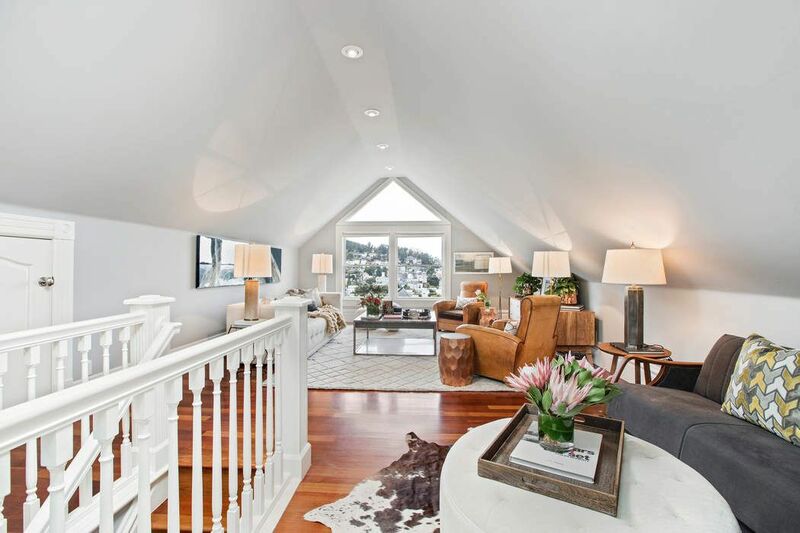 Upstairs is a spectacular music / media room or guest space with vaulted ceilings and stunning views West. 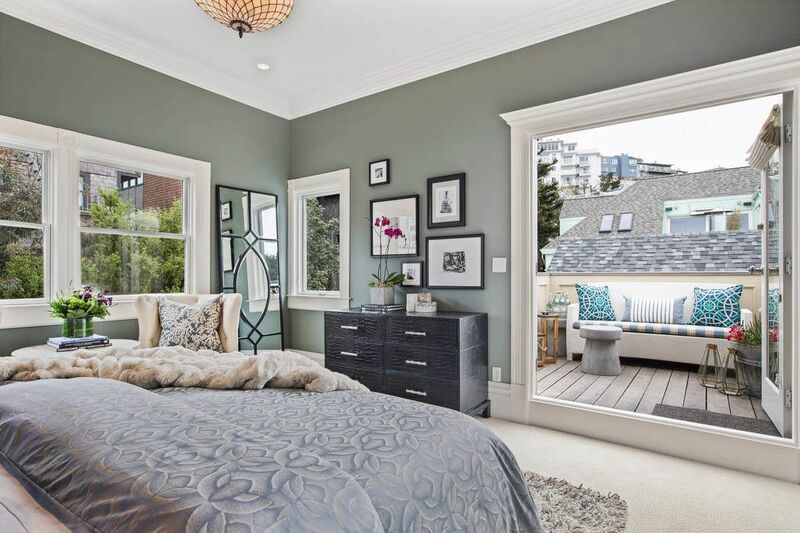 The master suite is East on the floor and features huge closets, full bath with jetted tub, private deck and access to the garden. 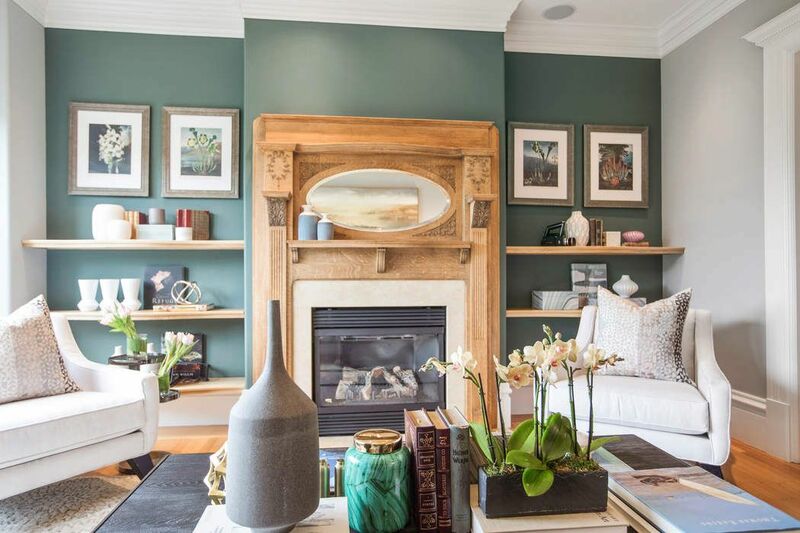 With two car parking, pristine condition, old world meets new world aesthetic and the best location in the city, this home will be a rare and sought after offering.